The University of California, Irvine will celebrate joining the Scholars at Risk Network with an event dedicated to Turkish and Syrian scholars and students. 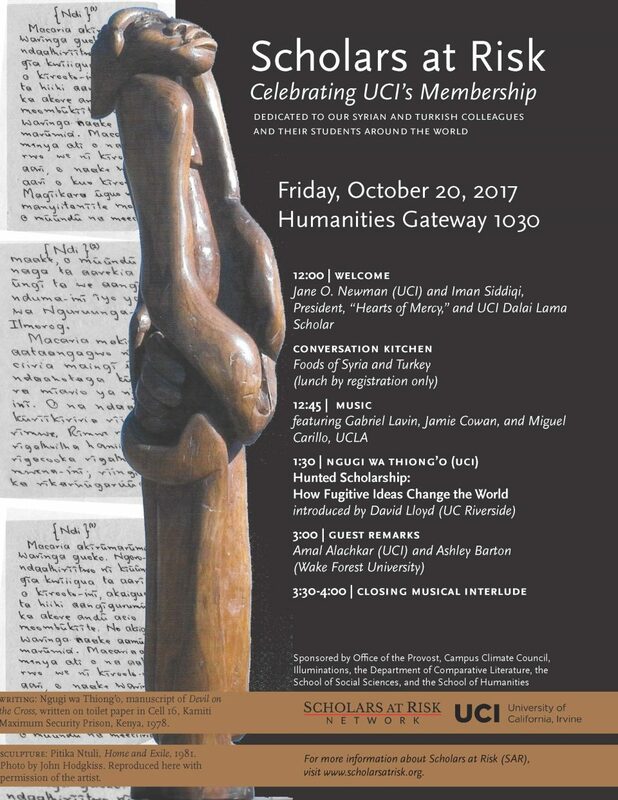 The event will feature a themed luncheon of Syrian and Turkish food; musical entertainment with original compositions highlighting Middle Eastern music by internationally known oud player Gabriel Lavin; and a keynote lecture by UCI professor and acclaimed author, Ngugi wa Thiong’o, who was imprisoned for his literary works in his native Kenya. This event is free, but registration is required. Interested parties can register for the event here.